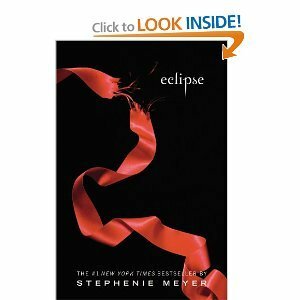 What's the Difference between Eclipse the Book and The Twilight Saga: Eclipse the Movie? Edward lends Bella his phone to call when she wants him to pick her up. Bella owns a cell phone. Nettie's hair is blonde. Her hair is black. Riley has blond hair. Riley's hair is brown. Mike Newton starts to unsuccessfully style his hair like Edward 's. This is never shown. This does not happen. Edward makes a joke about Jacob because he doesn't have a shirt on. His remark is "Doesn't he own a shirt?"